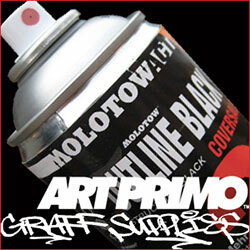 On March 04, 2011 GOOD announced “Project: Crowdsourced Exhibit, Street Art Worldwide”. The winning entry will be announced on GOOD.is on March 31, featured on their homepage, and printed in the next issue of GOOD. They’ll also send a GOOD T-shirt and a free subscription (or gift subscription) to the winner. Street art’s unexpected beauty and ingenuity has long captured our attention at GOOD. But recently the renegade art movement seems to have seeped into the mainstream, with the help of Google’s new street art mapping project, Banksy’s Oscar nomination for his documentary Exit Through the Gift Shop, and JR’s TED Prize. It seems like street art is everywhere these days, and we want to separate the just OK from the mindblowing. Street art has the power to transform everyday surroundings into thought-provoking scenes and fantastical landscapes. The latest GOOD Project wants to know: What’s your favorite piece of street art where you live? Your photo can be in any image format, but it should be high enough resolution that it can be printed at 300 dpi. We’ll take submissions now through Monday, March 21. Then we’ll publish a Picture Show with a selection of the submissions. Once we receive the images, we will turn to you, the GOOD community, to choose the winning submission by voting. The winning entry will be announced on GOOD.is on March 31, featured on our homepage, and printed in the next issue of GOOD. We’ll also send a GOOD T-shirt and a free subscription (or gift subscription) to the winner. No reply to "Project: Crowdsourced Exhibit, Street Art Worldwide"